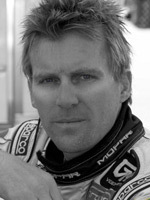 Samuel is the 2004 and 2006 Formula-D Drifting Champion and a medalist in the 2010 X-Games Rally Cross competition. Prior to demonstrating his remarkable car control skills in the world of Professional Drifting, Samuel, who was born and raised in Sweden, was one of the top test drivers for Volvo. As a reward for his hard work, he was selected as a driver on Volvo’s Swedish Touring Car Team. Samuel has also been one of Volvo’s most sought after precision stunt drivers for print and film.